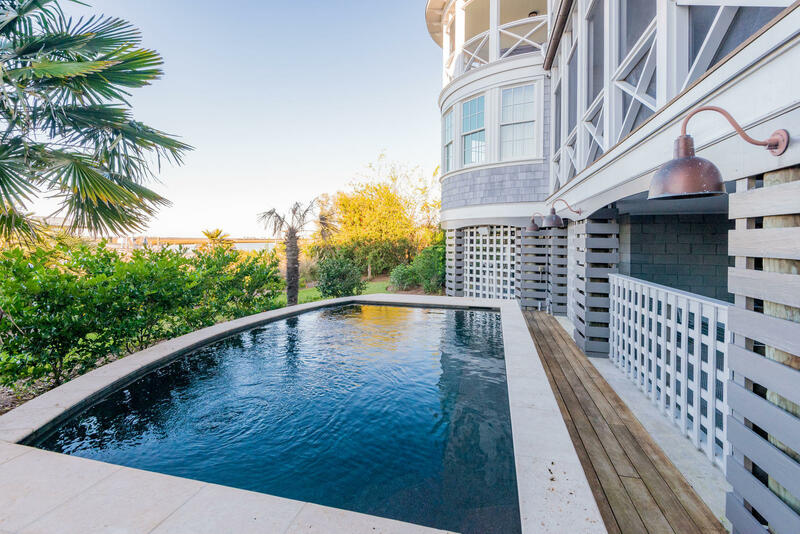 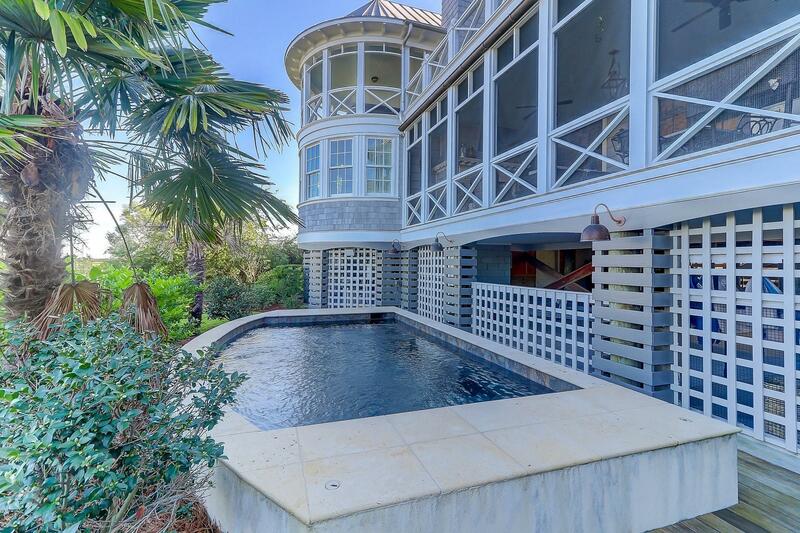 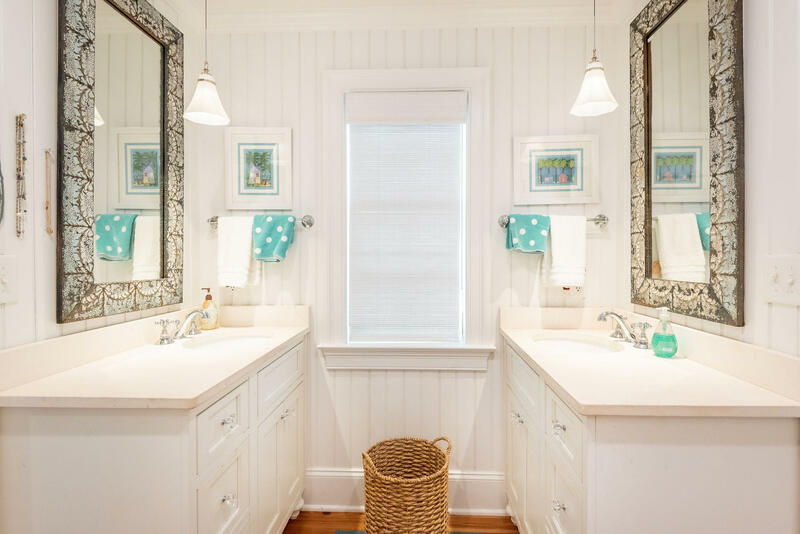 Stunning, deep water home on Sullivan's Island. 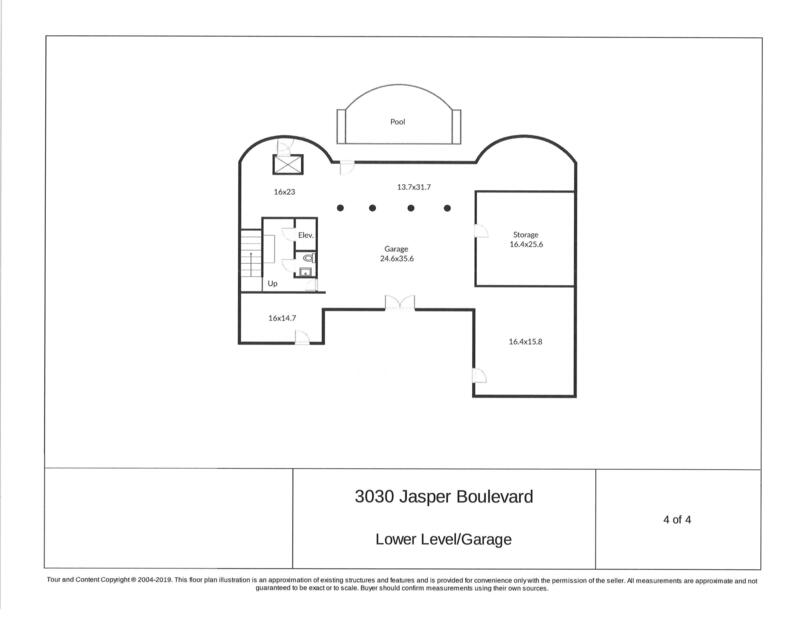 This exceptional 4200 sq. 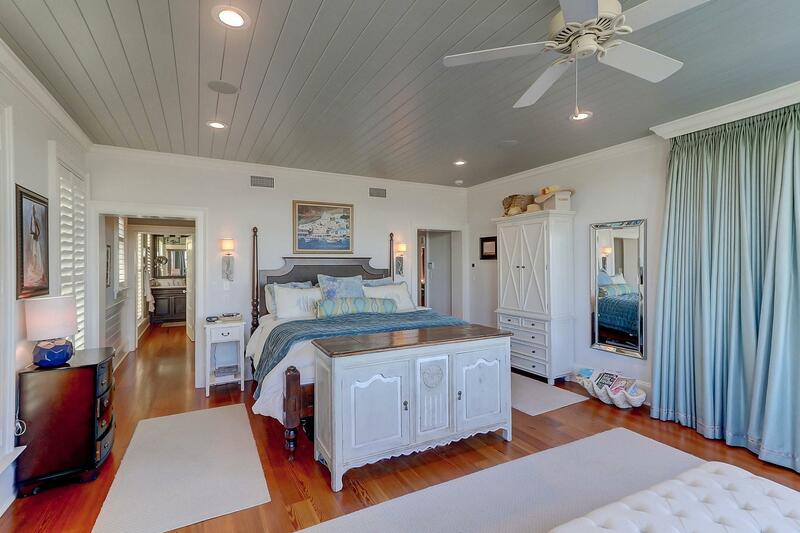 ft. home was custom built in 2011 and takes full advantage of its Conch Creek location. 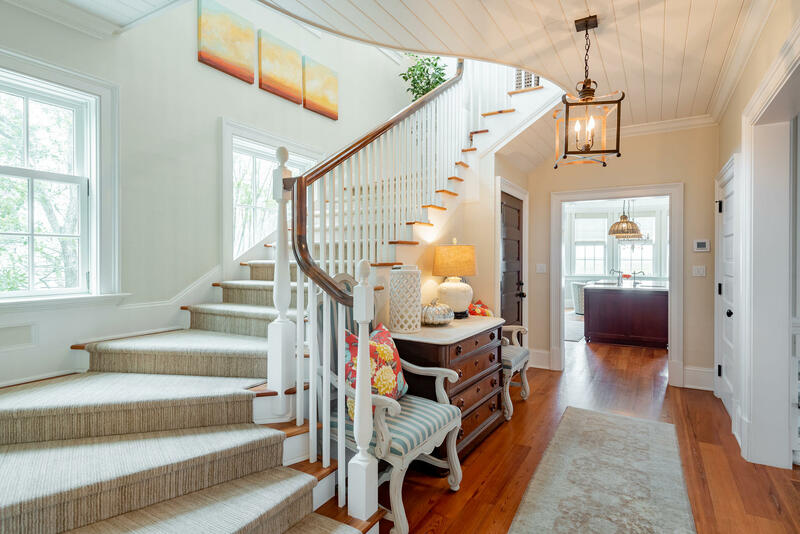 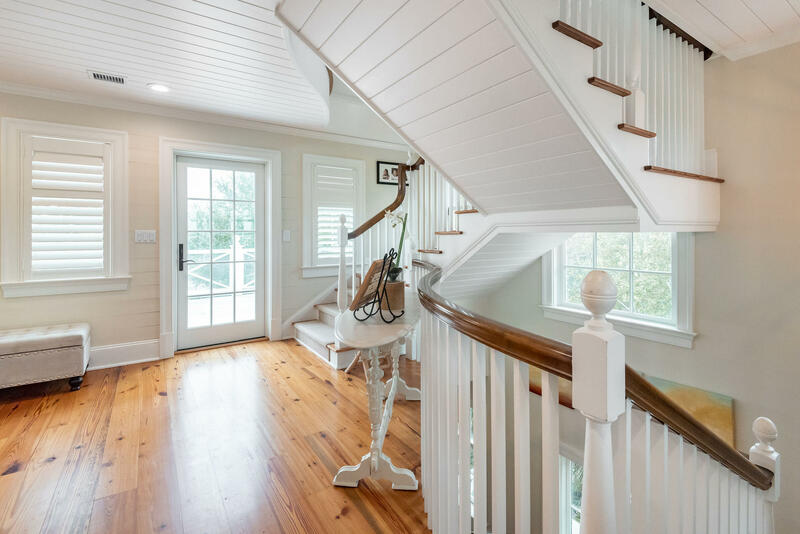 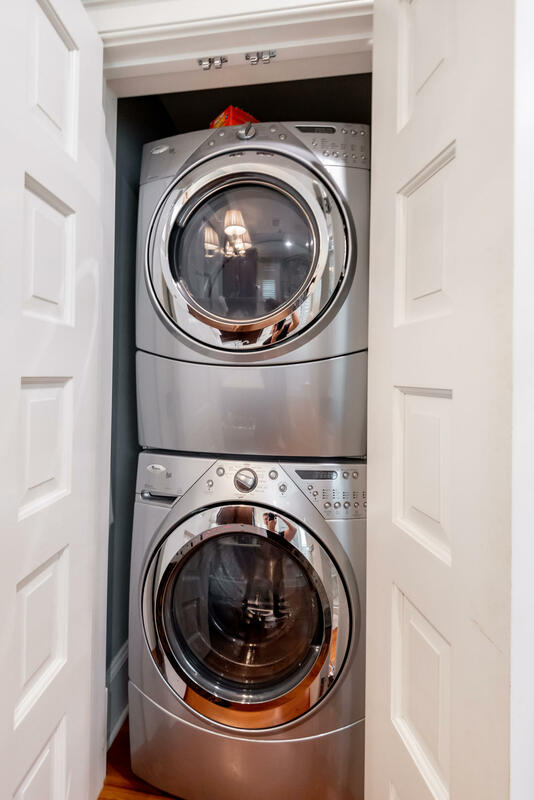 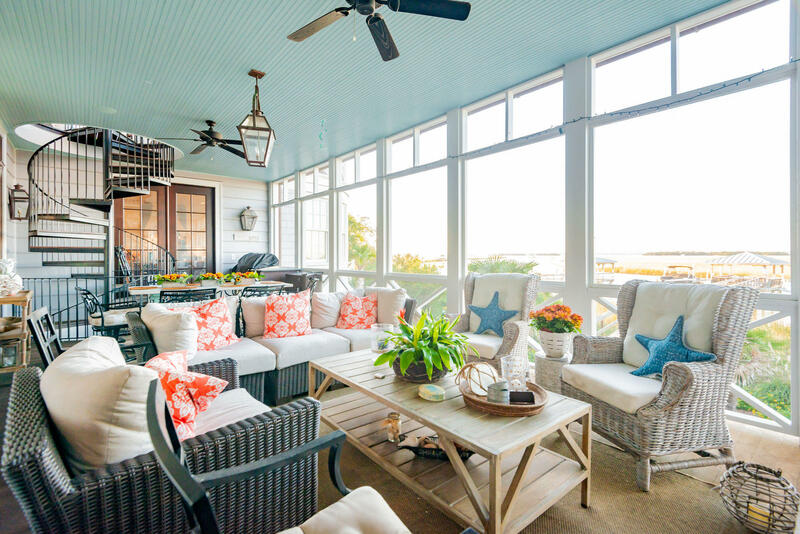 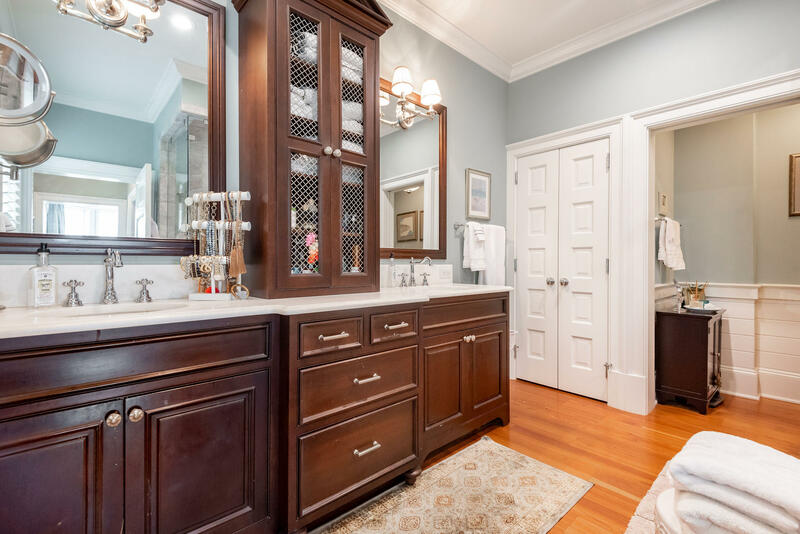 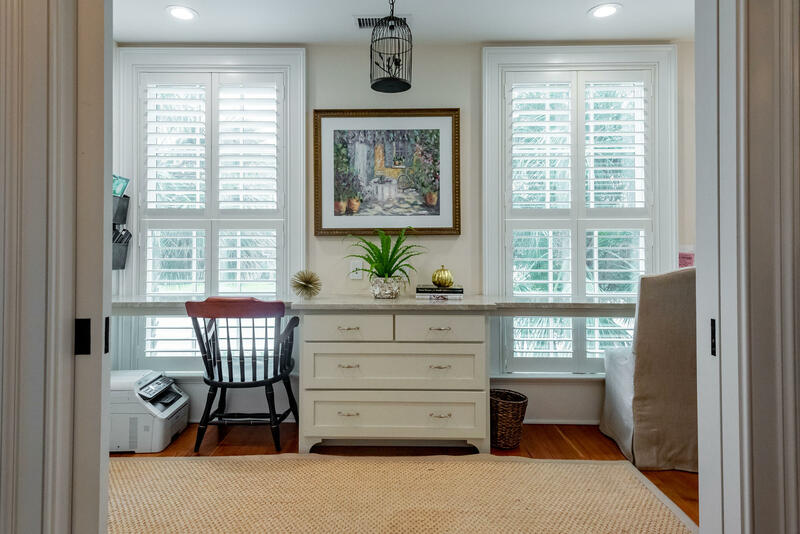 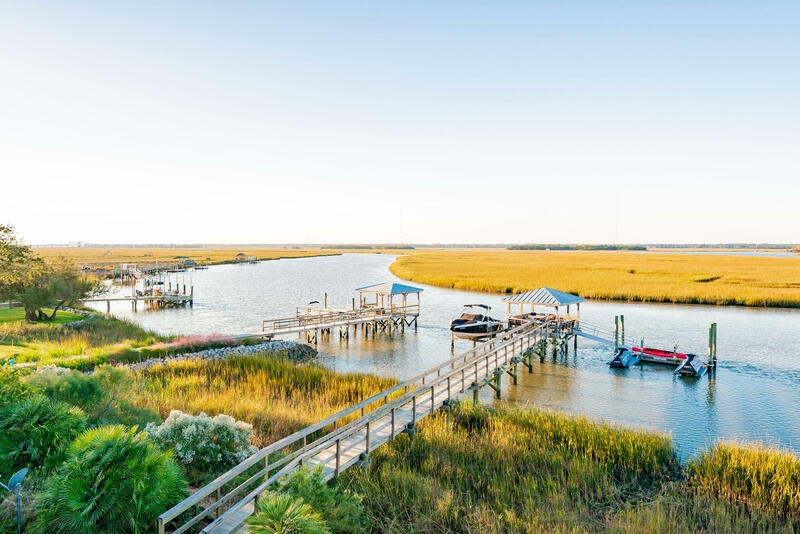 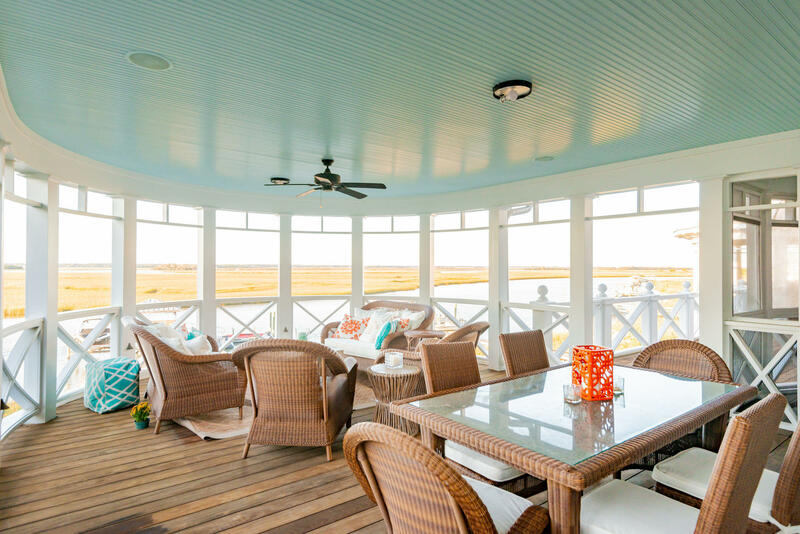 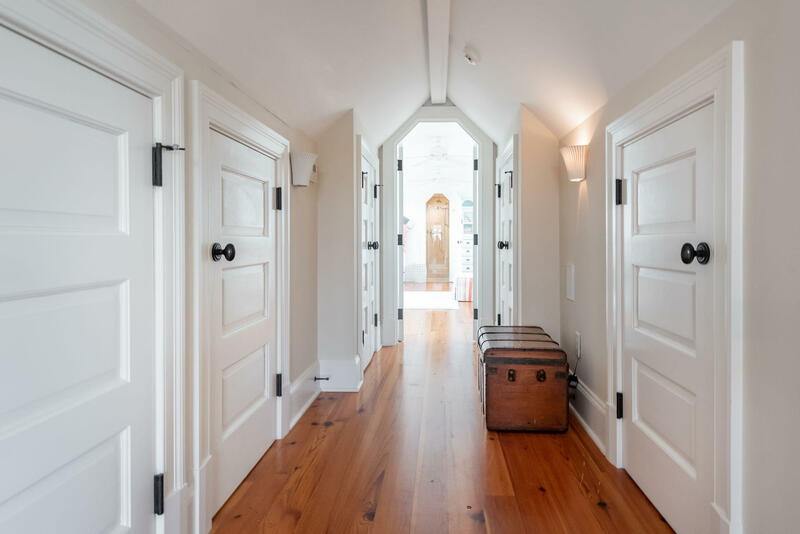 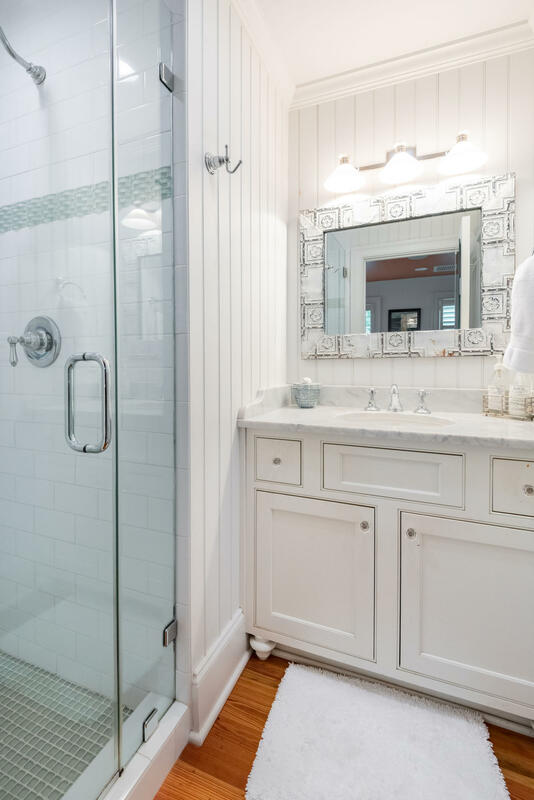 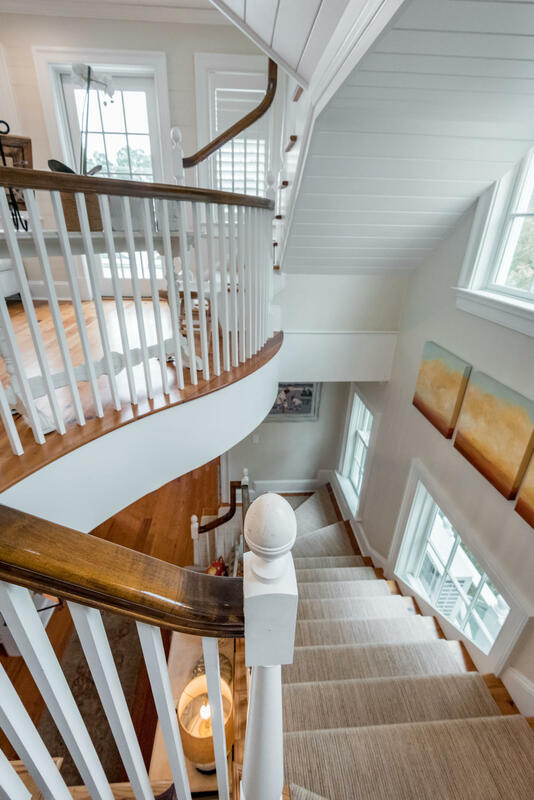 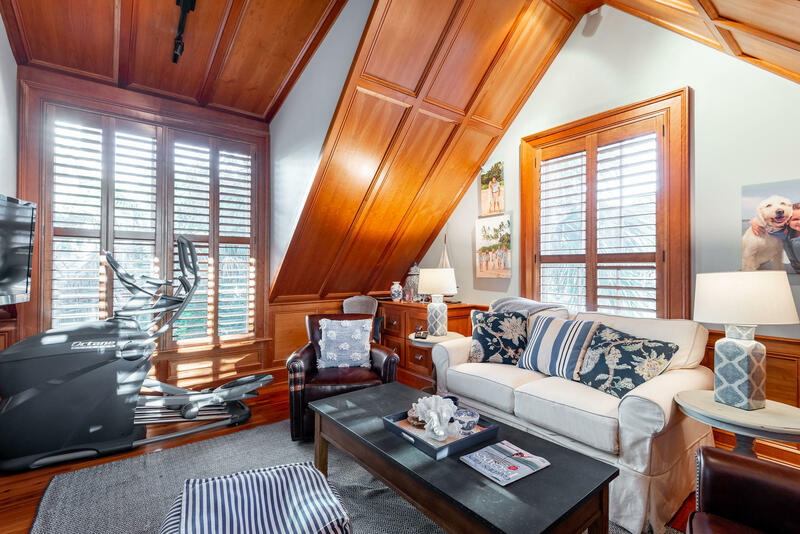 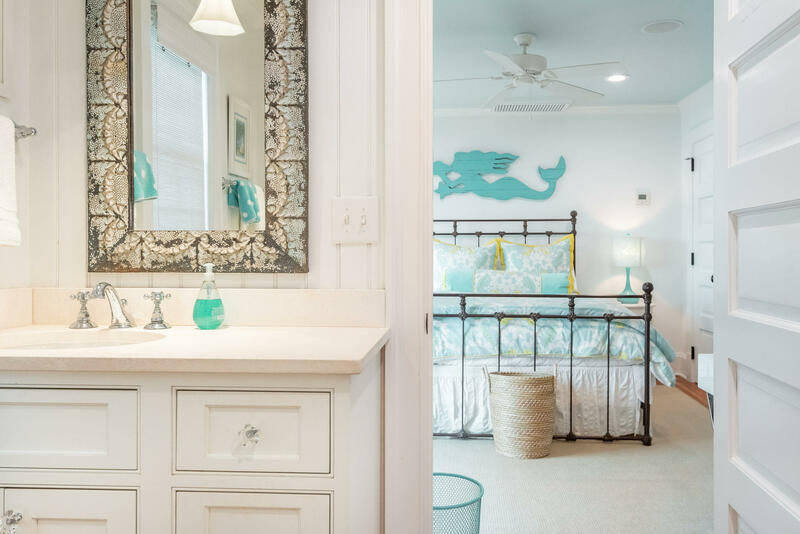 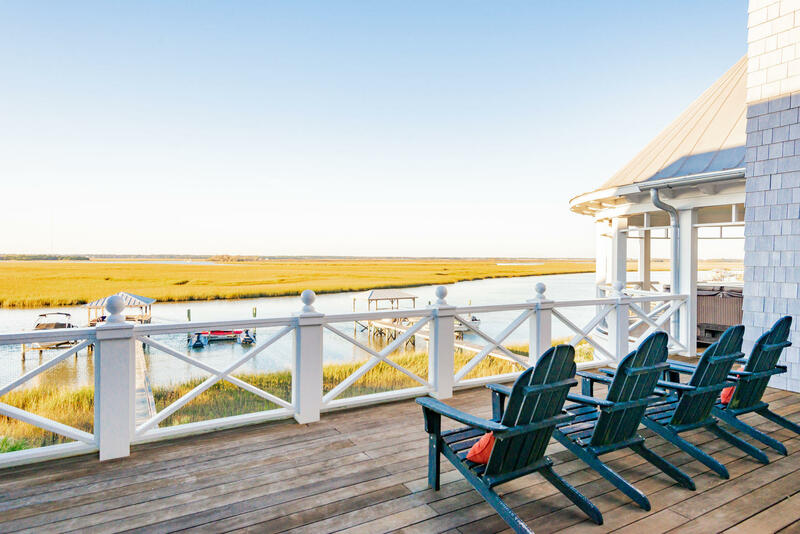 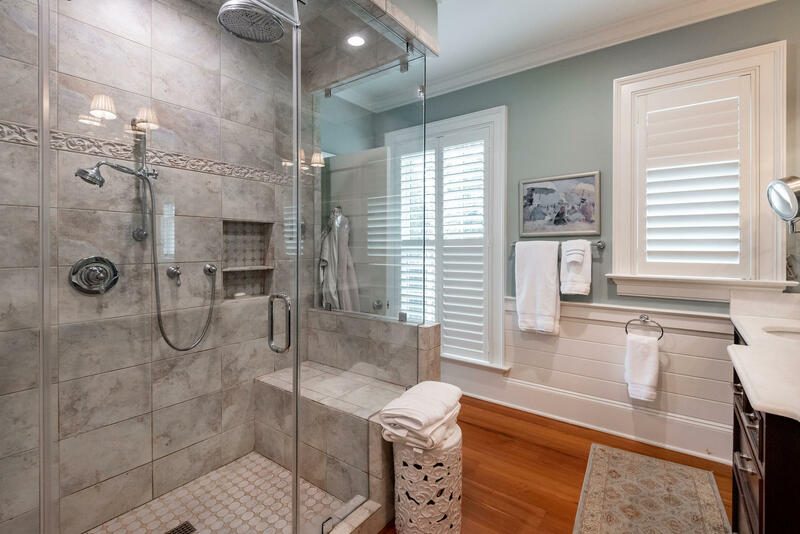 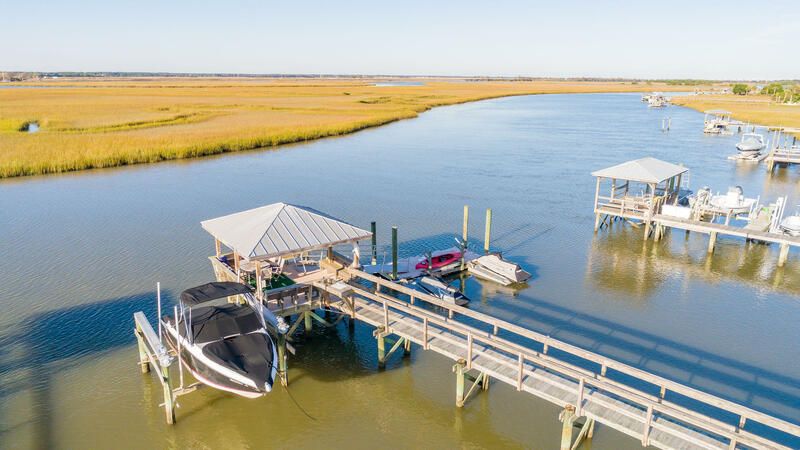 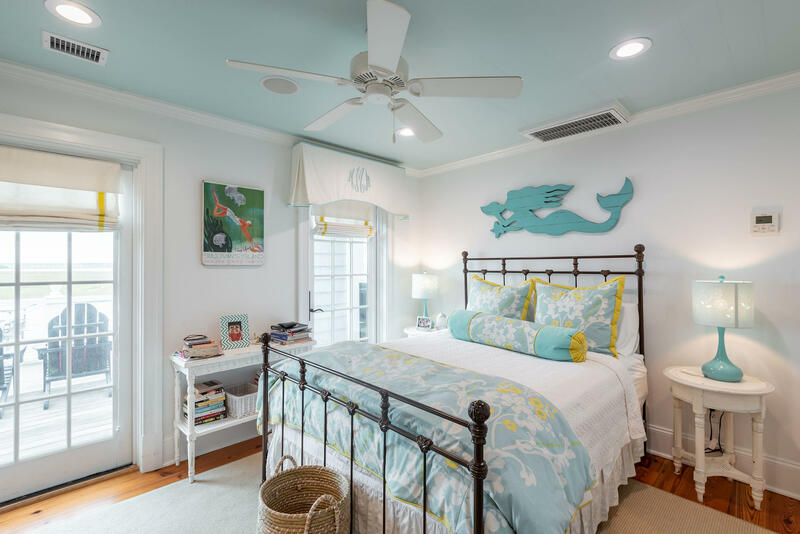 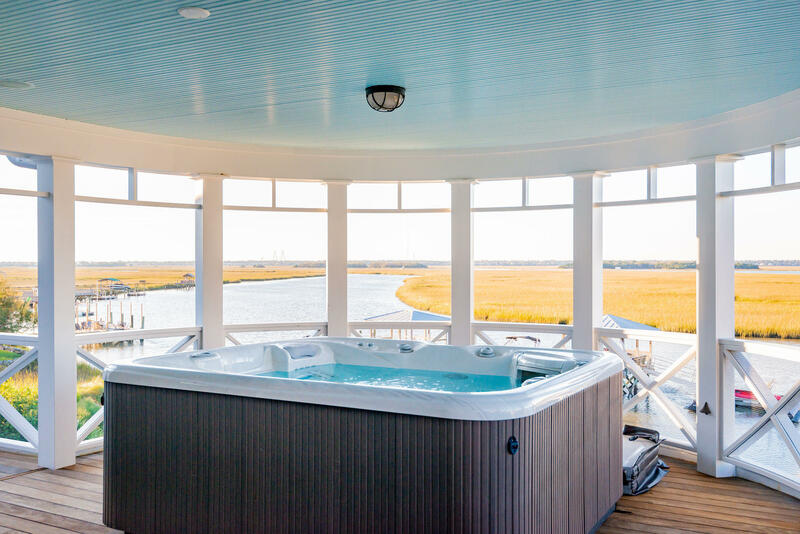 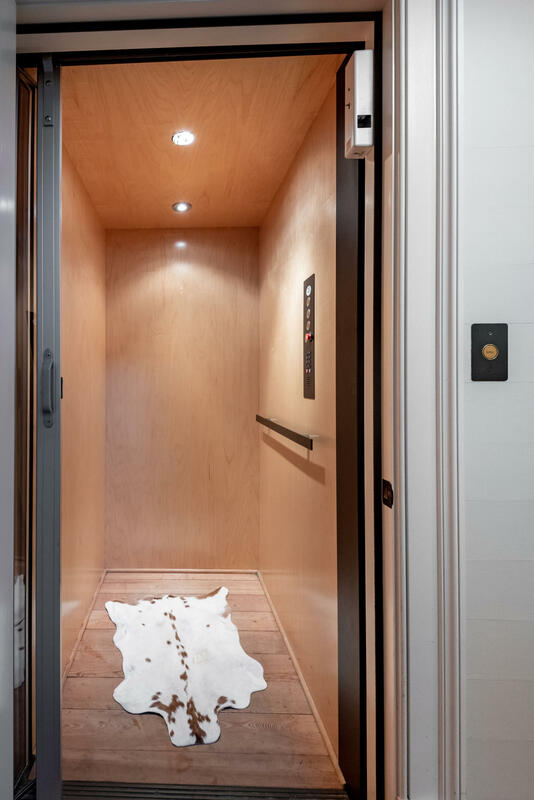 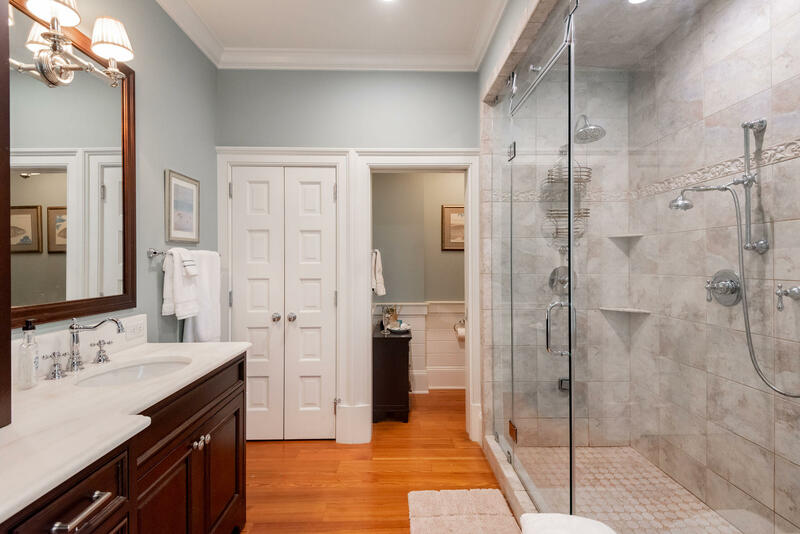 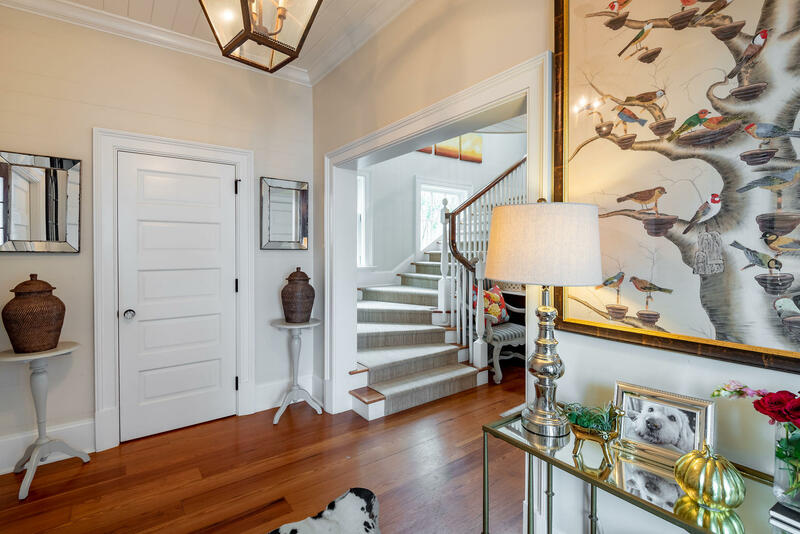 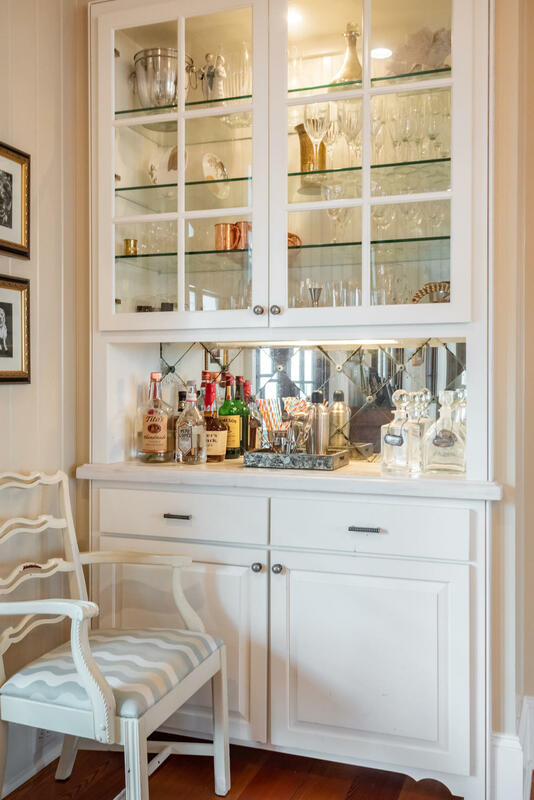 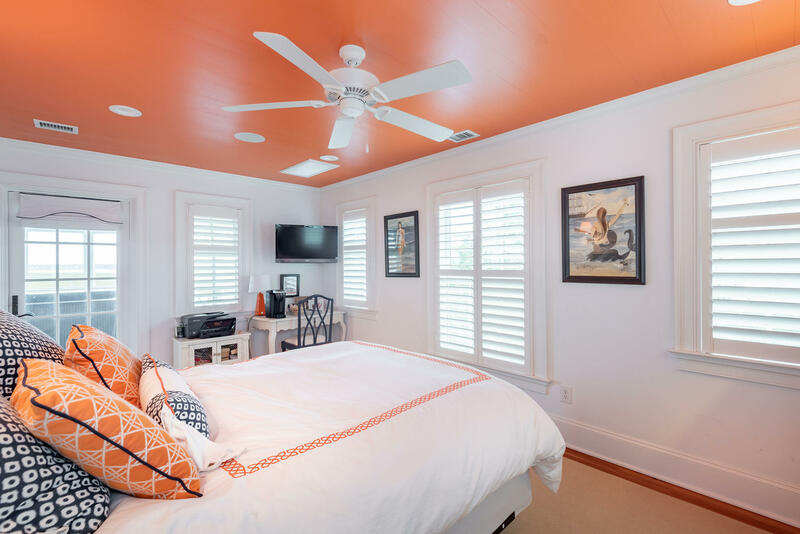 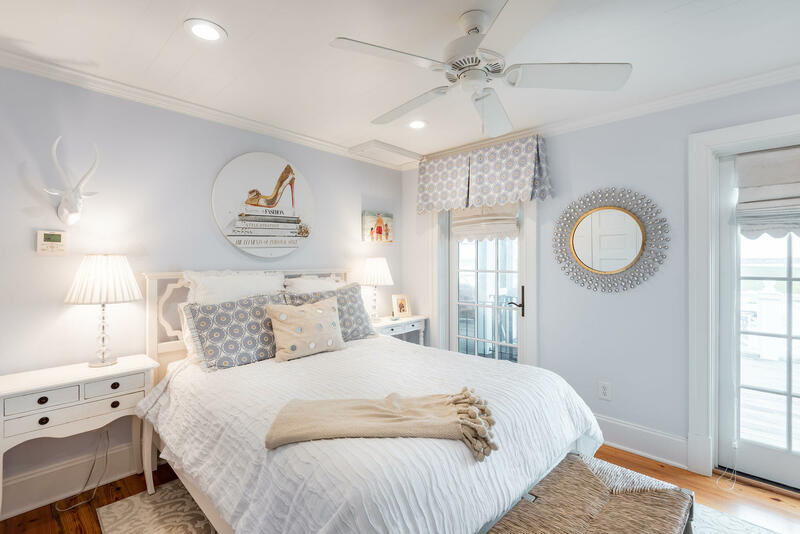 Featuring panoramic views from every room of the ever-changing marsh, and the Intracoastal Waterway from the Isle of Palms Connector to the Ravenel Bridge. 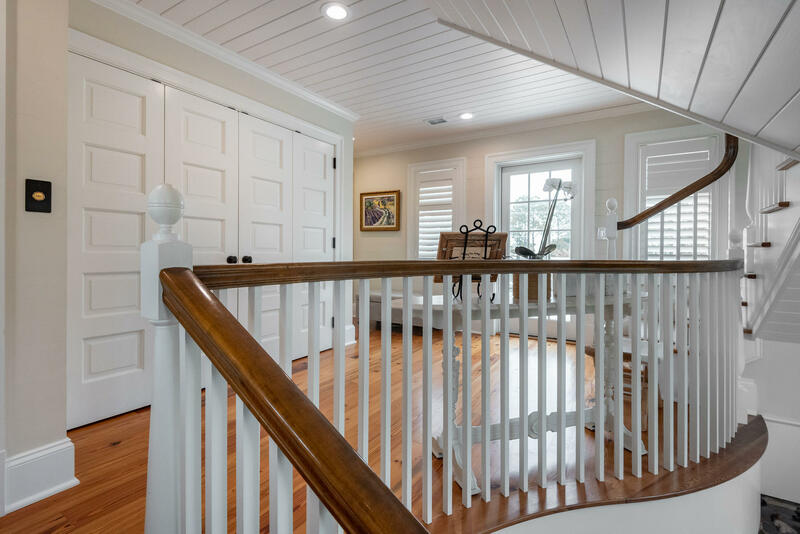 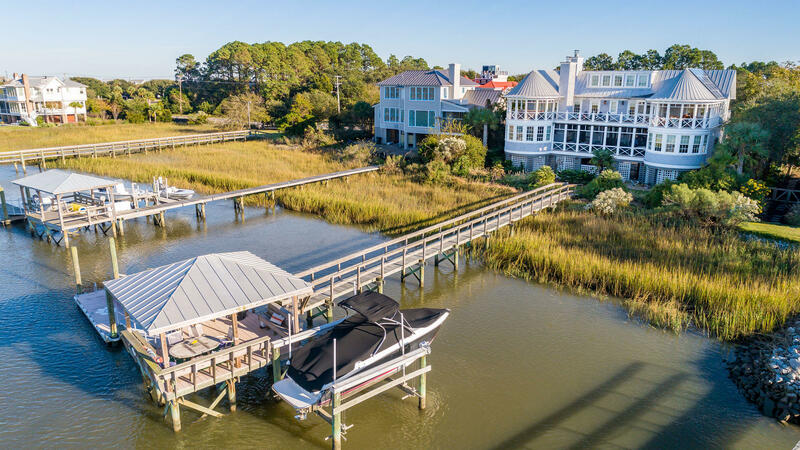 A short walk down the 120' pier leads to a large covered pierhead that's great for entertaining, with a separate boat lift and floating dock to either play or watch the breathtaking sunsets. 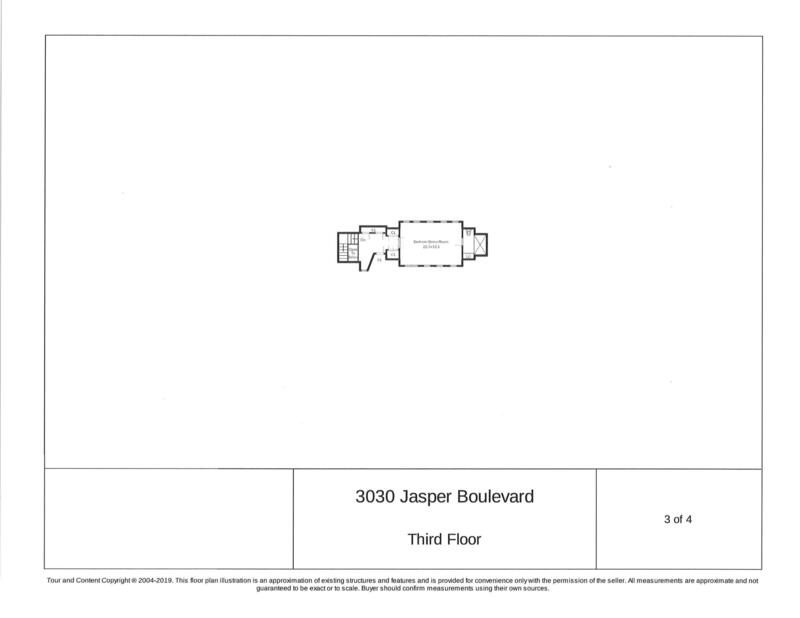 3030 Jasper Blvd. 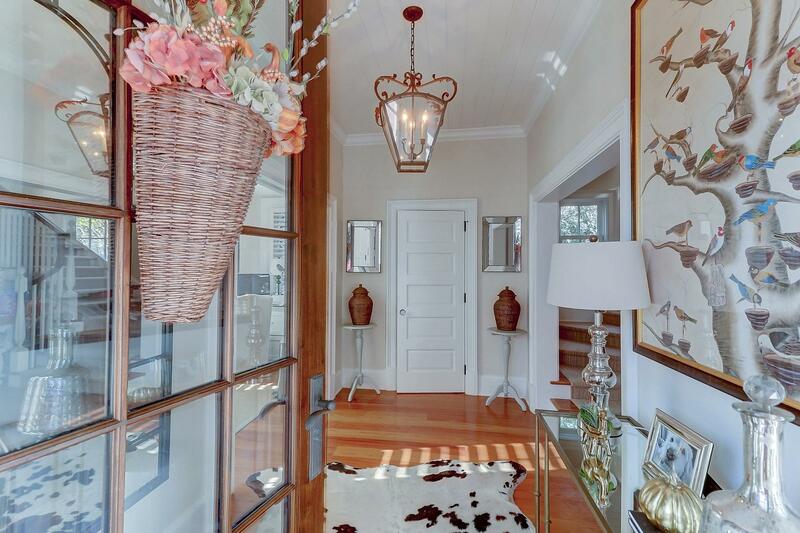 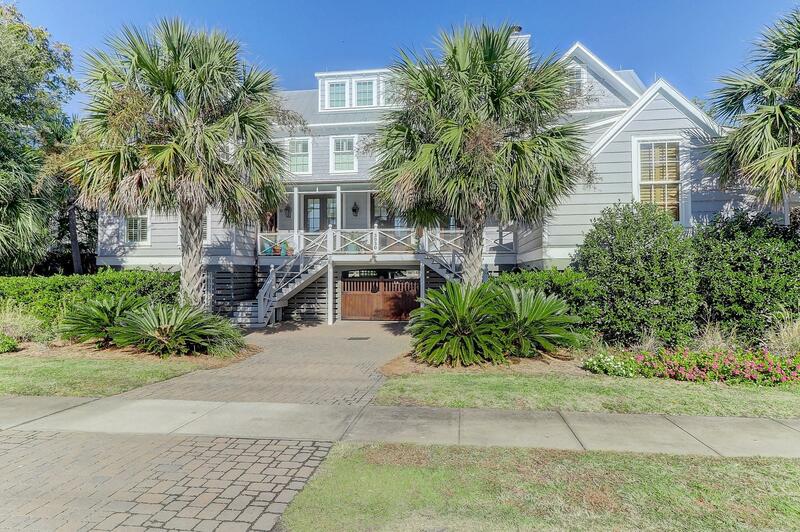 boasts 5 bedrooms, 4 full and 2 half baths, including a separately accessed 300 sq. 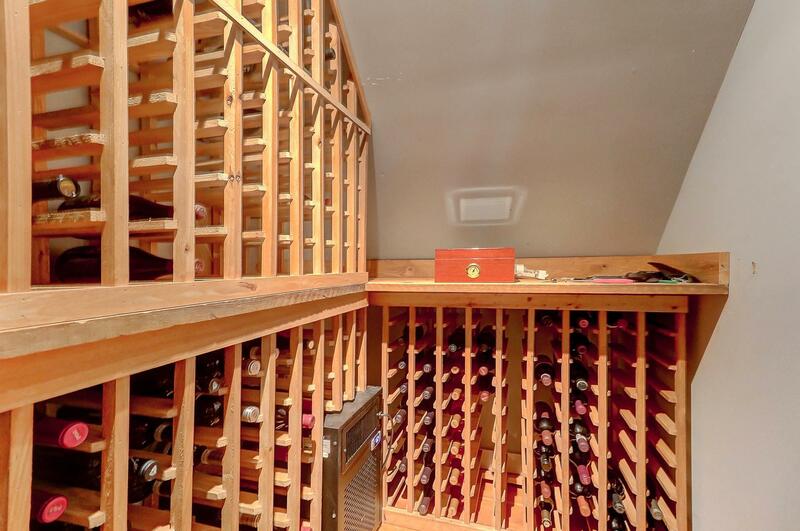 ft. room, with a wine closet, that can be used as a home office/studio or guest suite. 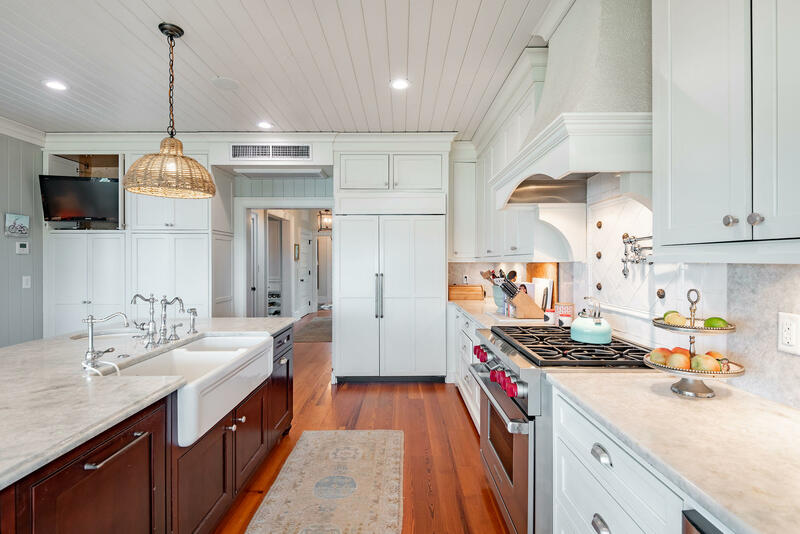 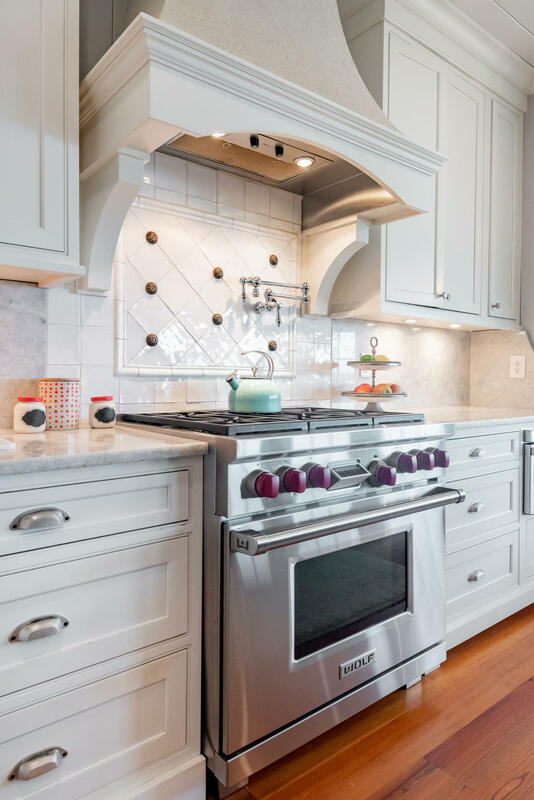 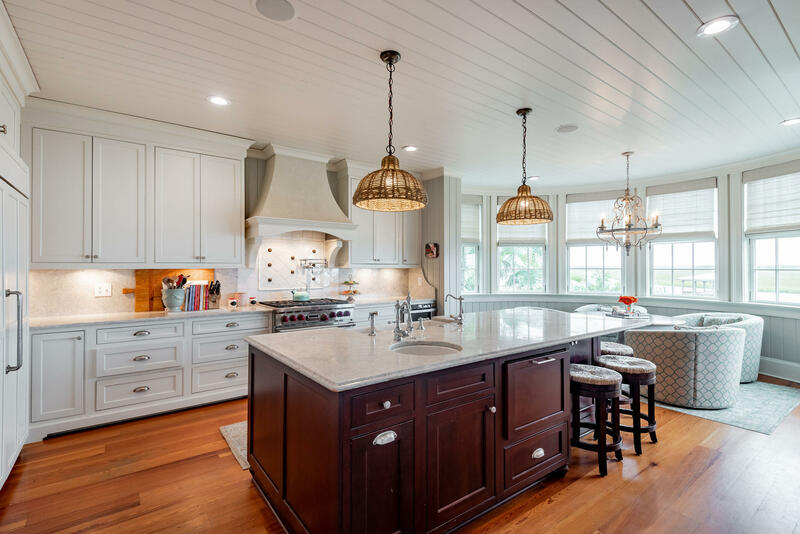 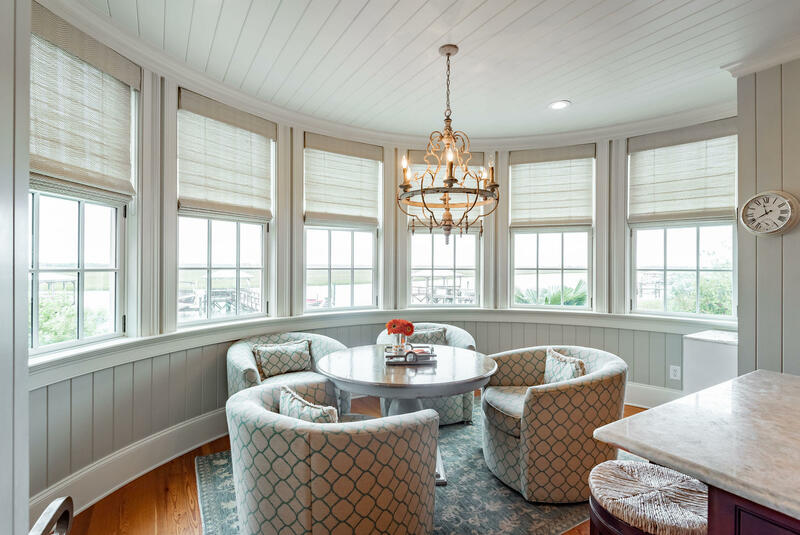 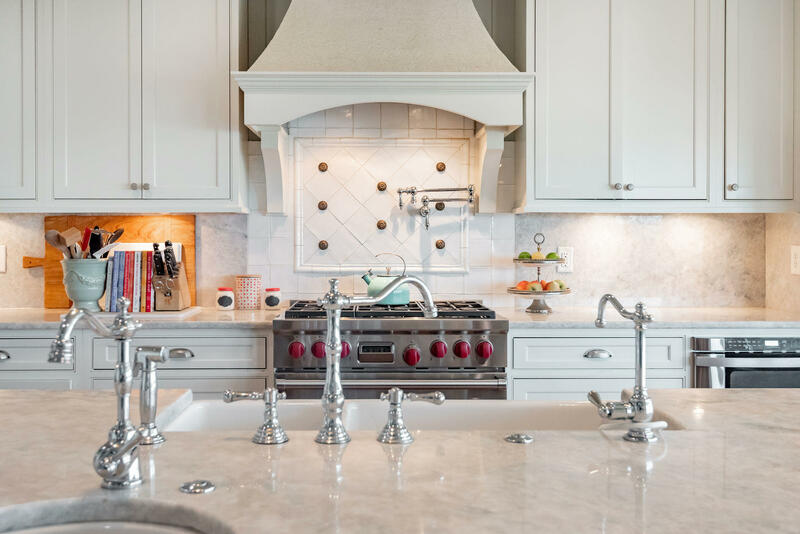 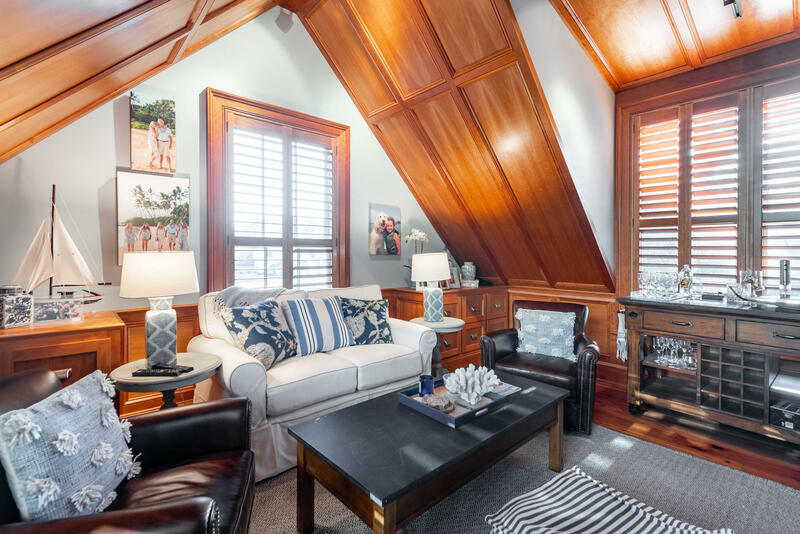 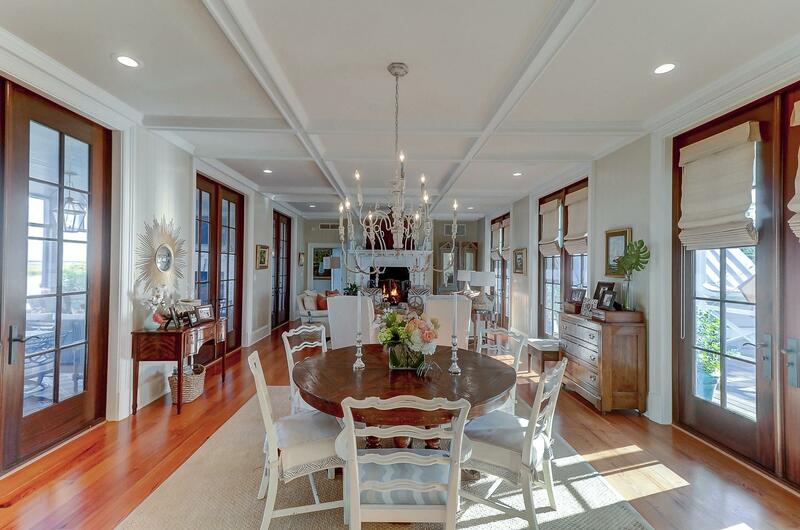 The main level features a gourmet kitchen with large island and eat-in area designed as a cupola with extensive windows to showcase sunrises and sunsets. 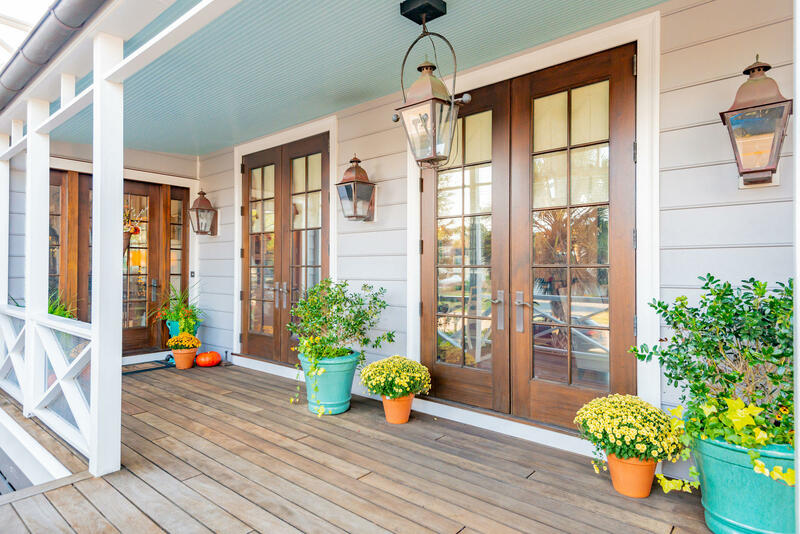 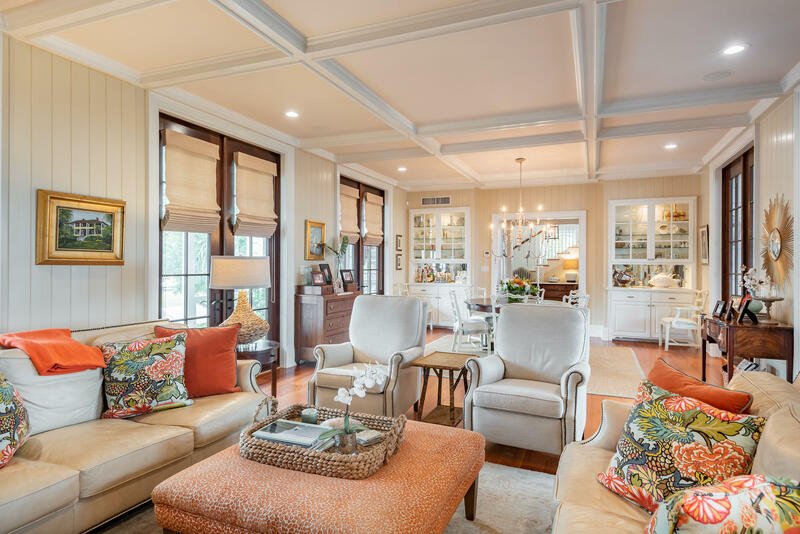 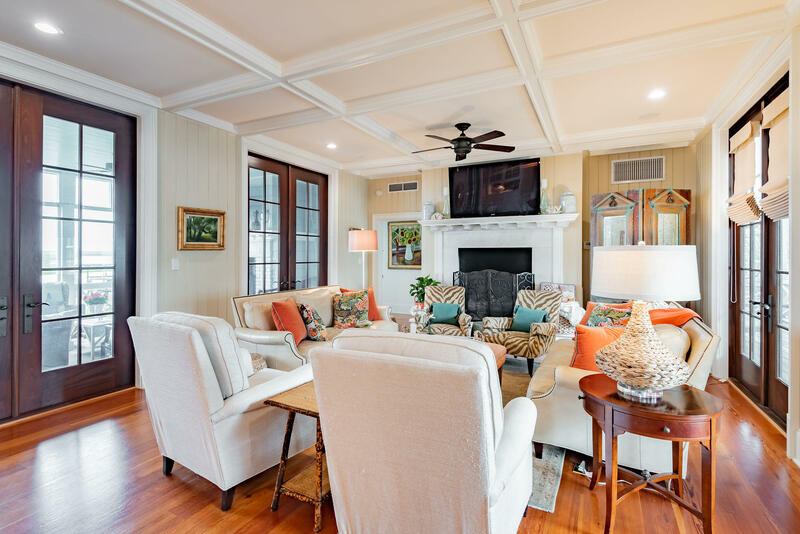 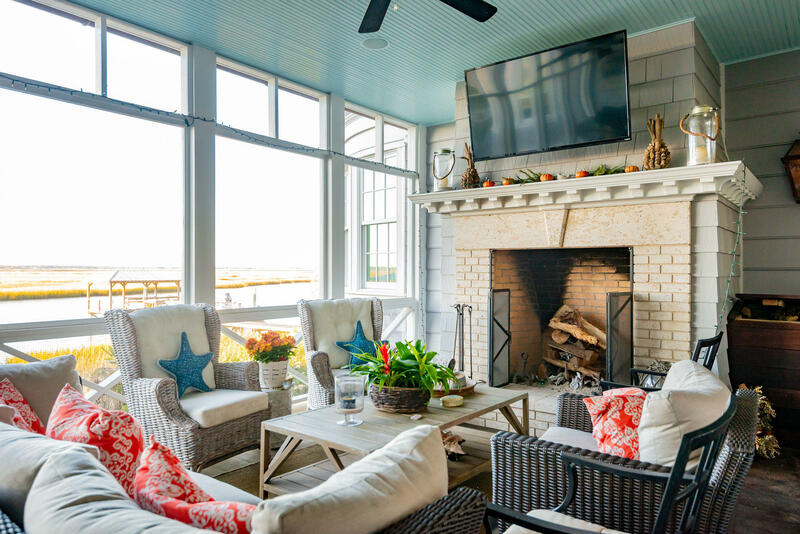 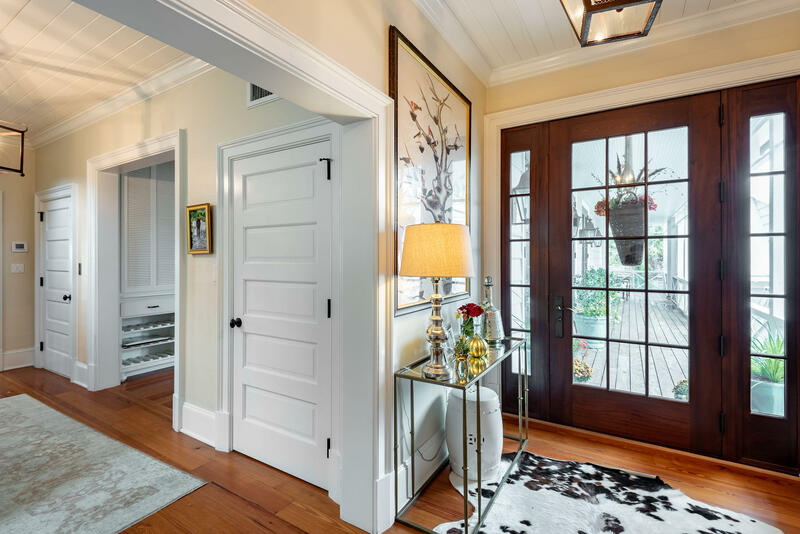 The combination living room / dining room with fireplace has multiple French doors leading to a screened porch with wood burning fireplace overlooking the in-ground pool and dock. 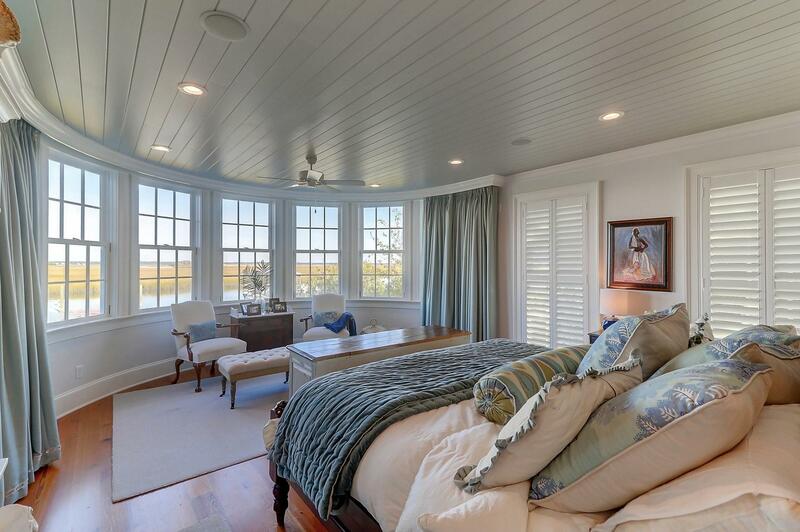 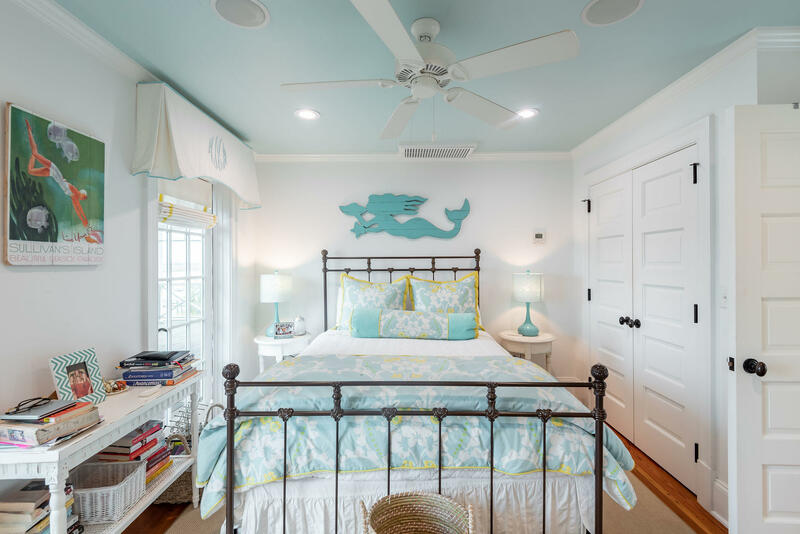 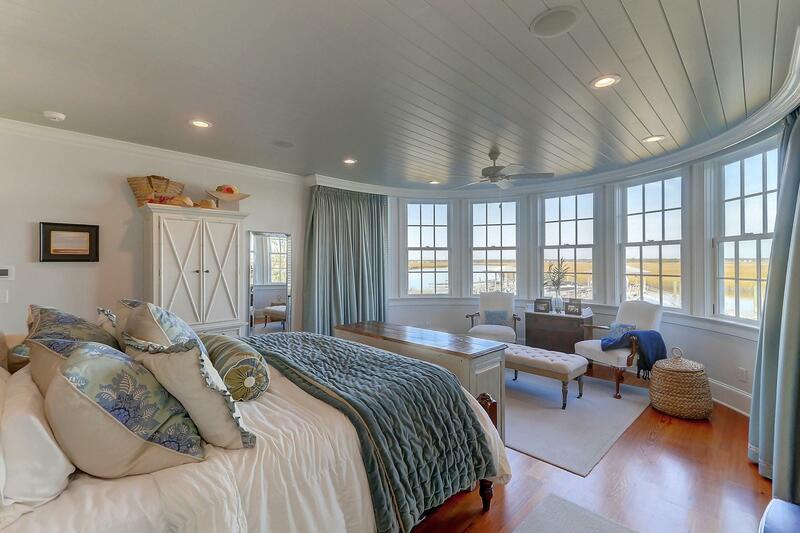 The large master suite features gorgeous circular window framing to capture waterfront views. 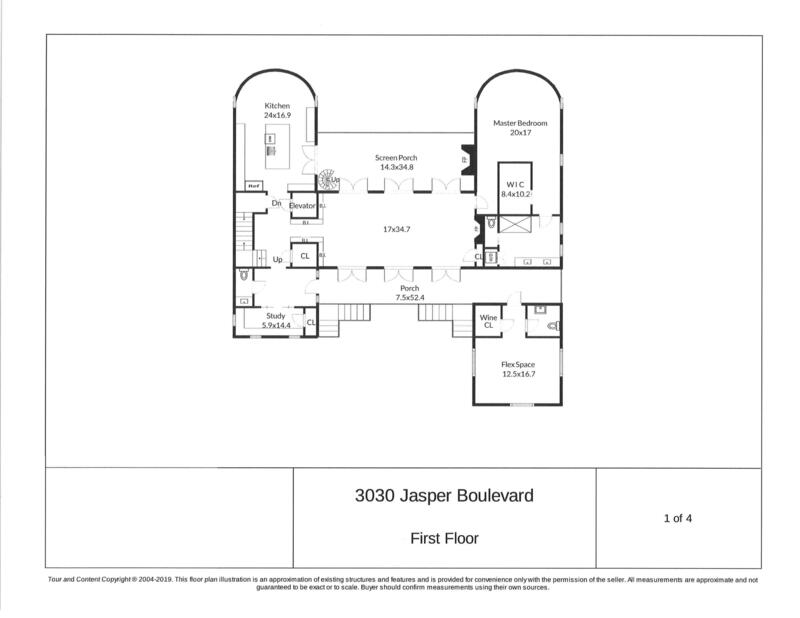 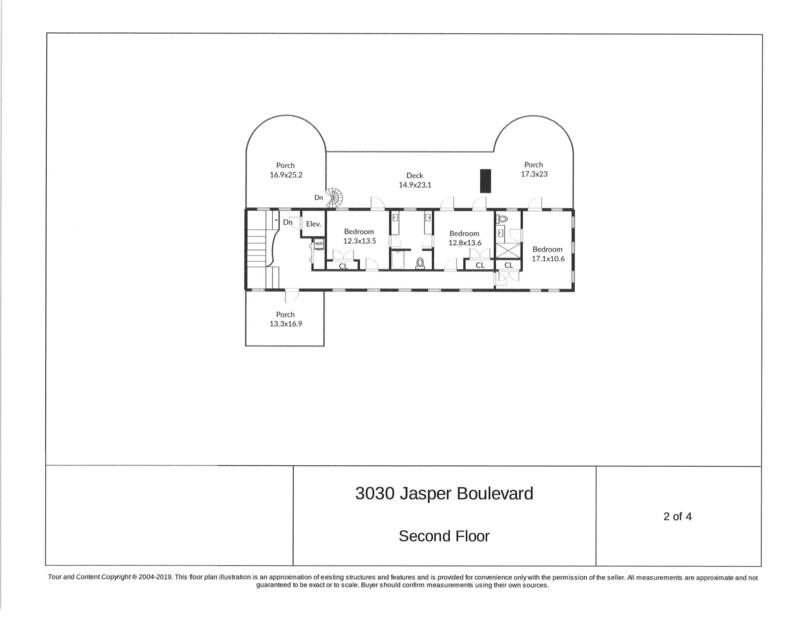 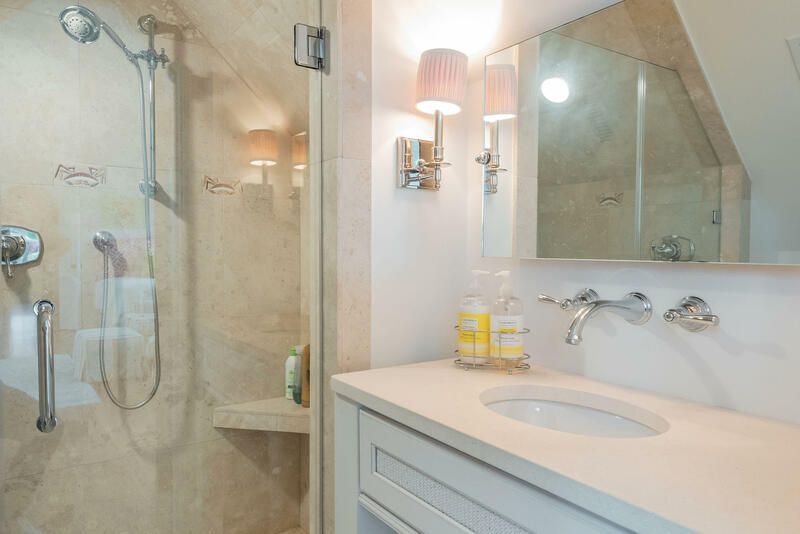 The second level features a guest suite with private bath and two additional guest rooms with shared bath. 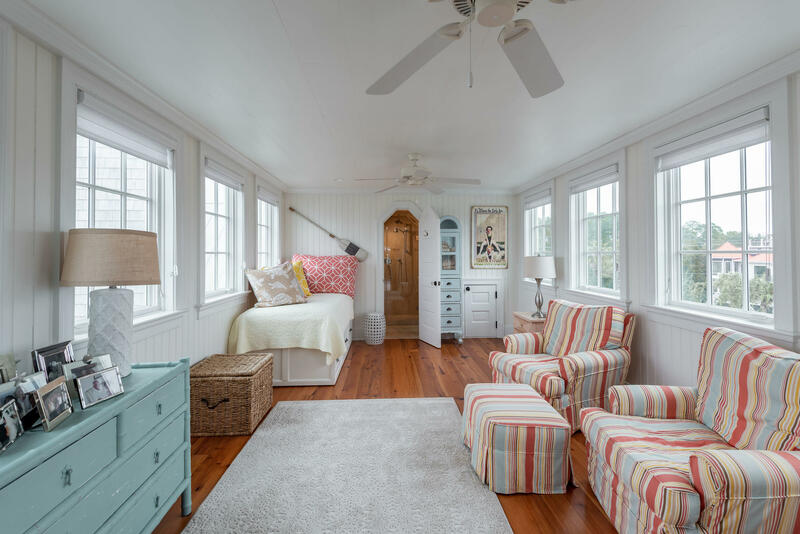 Each bedroom has outside access to cupola-style porches on the west-side of the home and a large hot tub on the east side cupola porch. 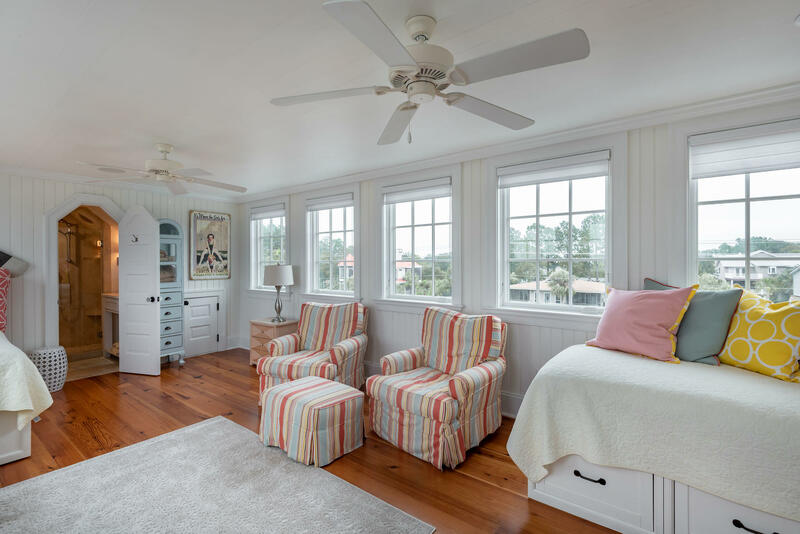 There is also a third level bedroom suite with dormered windows that is great for guests or extended family. 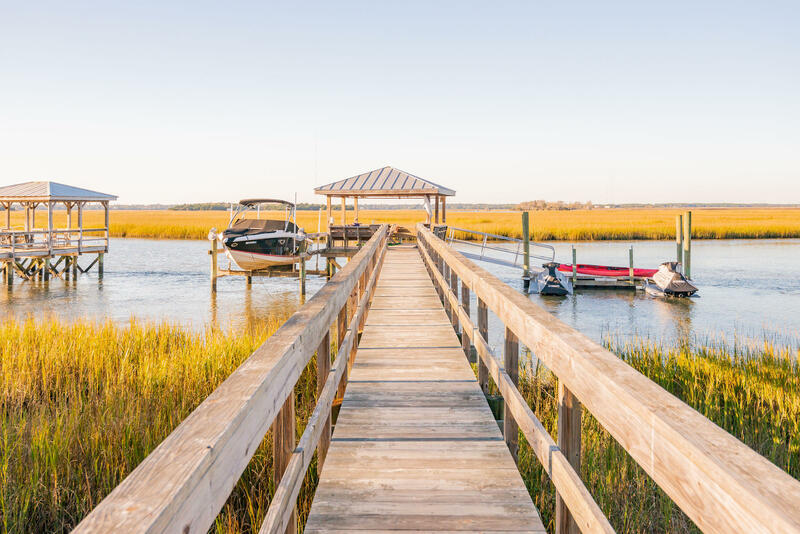 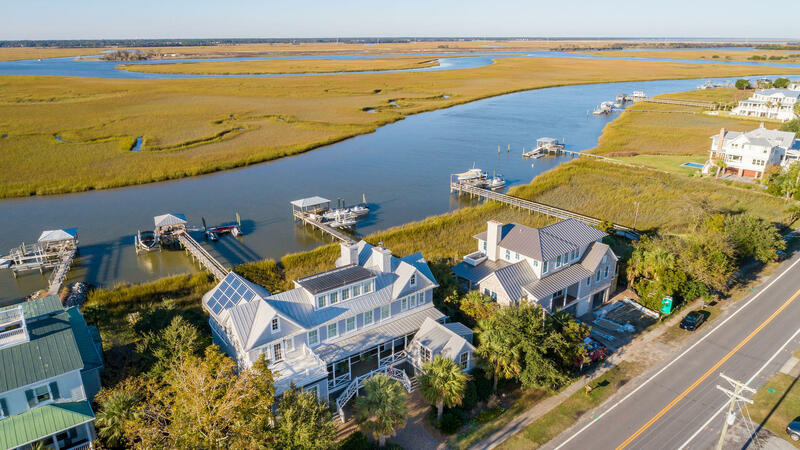 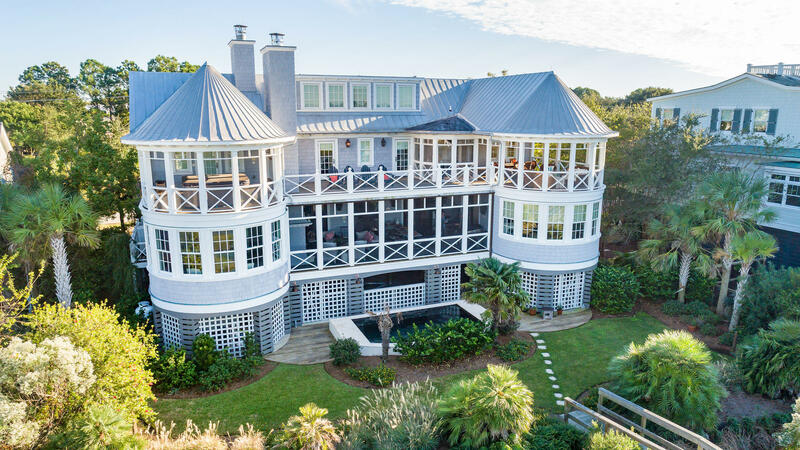 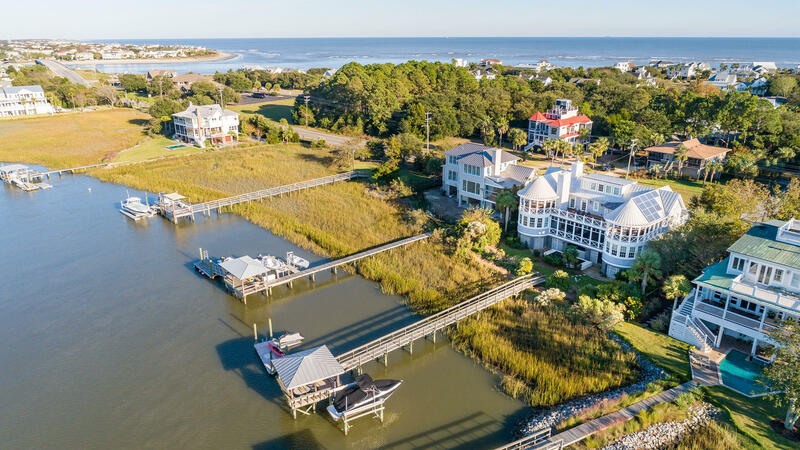 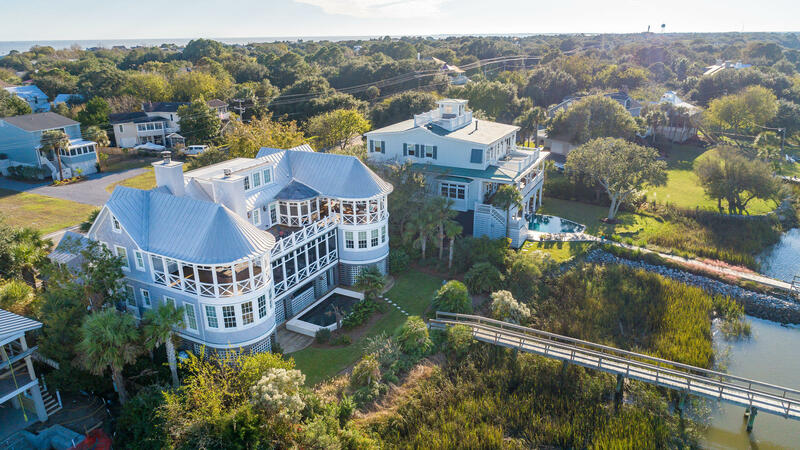 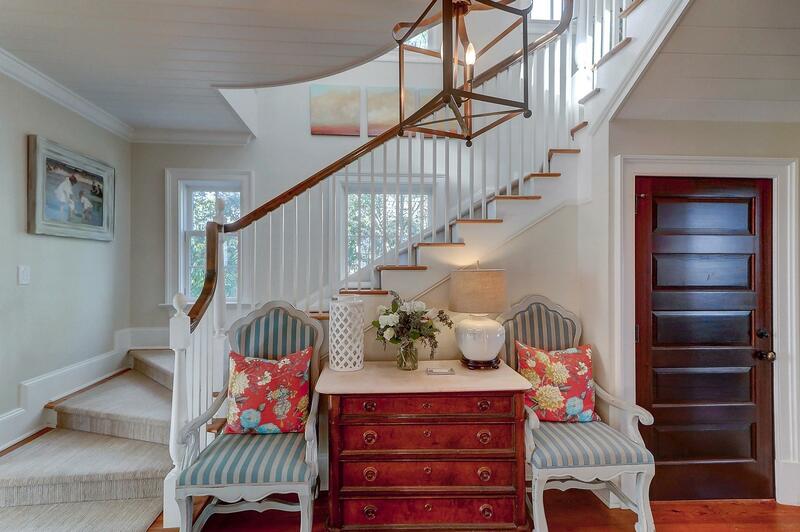 This is Sullivan's Island waterfront living at its best and must be seen to appreciate!